Treat yourself and your sweetheart to an evening of classic jazz tunes with the sounds of Todd Wright and Friends at this special free performance. The concert begins at 8 p.m. on the Rosen Concert Hall on Appalachian State’s campus. Vocalist Wendy Jones will join the group, which features Wright on saxophone, Keith McCutchen on piano, Andy Page on guitar, Zack Page on bass and Rick Dilling on drums. The program will include “All the Way” by Jimmy Can Heusen and Sammy Chan, “Teach Me Tonight” by Gene de Paul and Sammy Cahn, “I Love Her” by McCartney and Lenon, “Embraceable You” by George and Ira Gershwin, “My Funny Valentine” by Richard Rogers and “Love You Madly” by Duke Ellington. 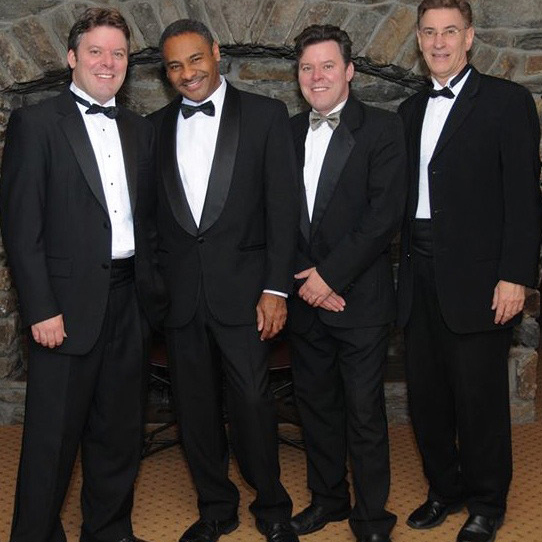 Freehttps://highcountryhost.com/images/events/ToddWrightValentinesDayConcertAppState.jpgTodd Wright Jazz Valentine's ConcertTodd Wright Jazz Valentine's Concert2019-02-14 20:00:002019-02-14 22:00:00Rosen Concert Hall, Appalachian State UniversityRosen Concert Hall, Appalachian State UniversityTreat yourself and your sweetheart to an evening of classic jazz tunes with the sounds of Todd Wright and Friends at this special free performance. The concert begins at 8 p.m. on the Rosen Concert Hall on Appalachian State’s campus. Vocalist Wendy Jones will join the group, which features Wright on saxophone, Keith McCutchen on piano, Andy Page on guitar, Zack Page on bass and Rick Dilling on drums. The program will include “All the Way” by Jimmy Can Heusen and Sammy Chan, “Teach Me Tonight” by Gene de Paul and Sammy Cahn, “I Love Her” by McCartney and Lenon, “Embraceable You” by George and Ira Gershwin, “My Funny Valentine” by Richard Rogers and “Love You Madly” by Duke Ellington.